Copenhagen-based designer Johanne Lian Olsen investigates the mysteries of eyeballs in her digital tabloid The Eye of the Beholder. "We all have those moments where we think ‘Man, I wish I knew more about eyeballs’, right?" she asks. Now, there's a newspaper all about them. 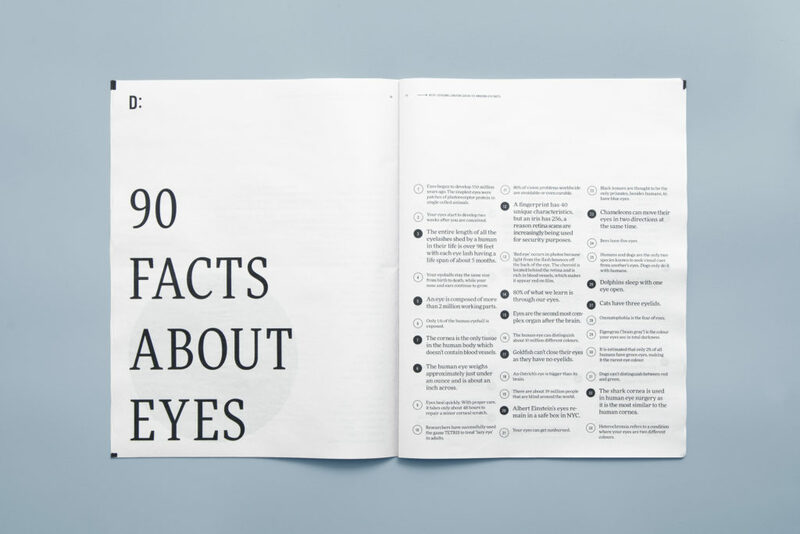 Olsen, who received a Communication Design award from the Type Directors Club last year, came up with the idea while participating in a workshop run by The New York Times Magazine. Asked to create a publication about "odd things" she took inspiration from an article about a mysterious, giant eyeball that washed up on a Florida beach a few years ago. 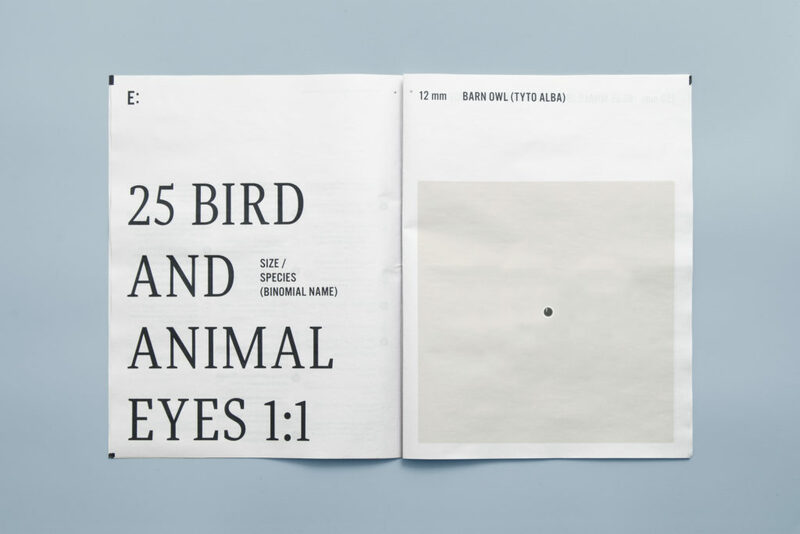 The 40-page newspaper includes a list of 90 eye-related facts (An ostrich's eye is bigger than its brain!) 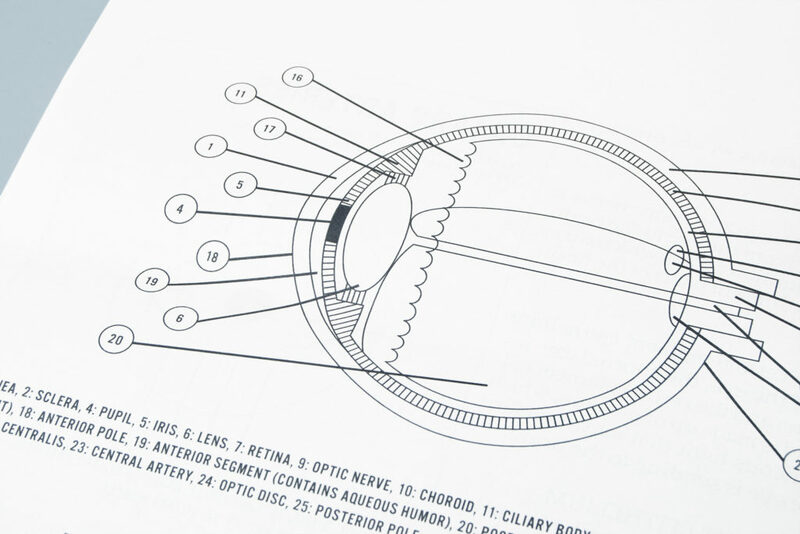 and delves into the minutiae of eye anatomy. 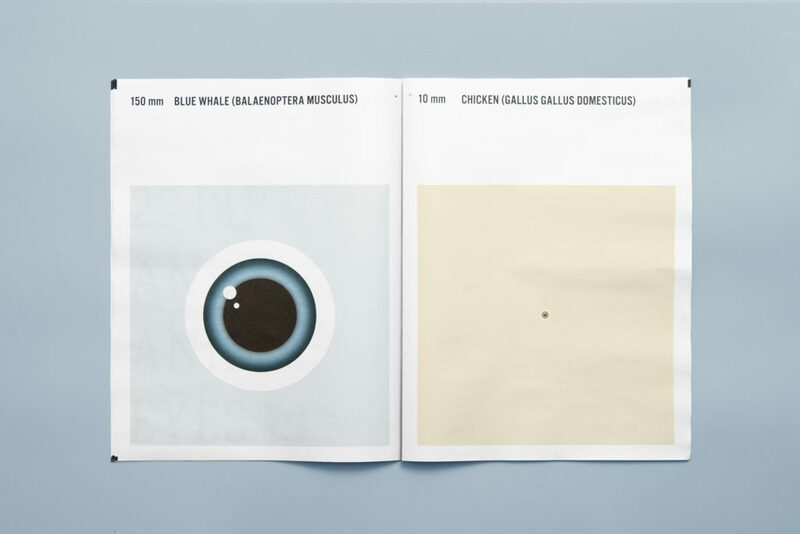 With stunning attention to detail, The Eye of the Beholder includes illustrations of 25 diverse eyeballs – a study of the range of colours and shapes that distinguishes, say, a rattlesnake's eyeball from a polar bear's. 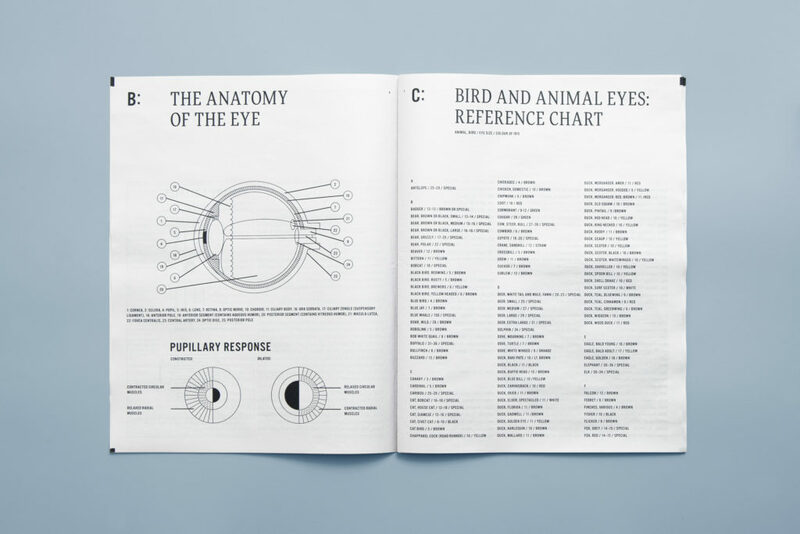 A reference chart at the front of the newspaper lists, in alphabetical order, the diameters of over 100 different animal eyeballs. Olsen chose the "informal format" of newsprint to offset the dense subject material. Plus, the large size of a newspaper meant she could include a page-filling 1:1 illustration of the giant squid eyeball (250mm). 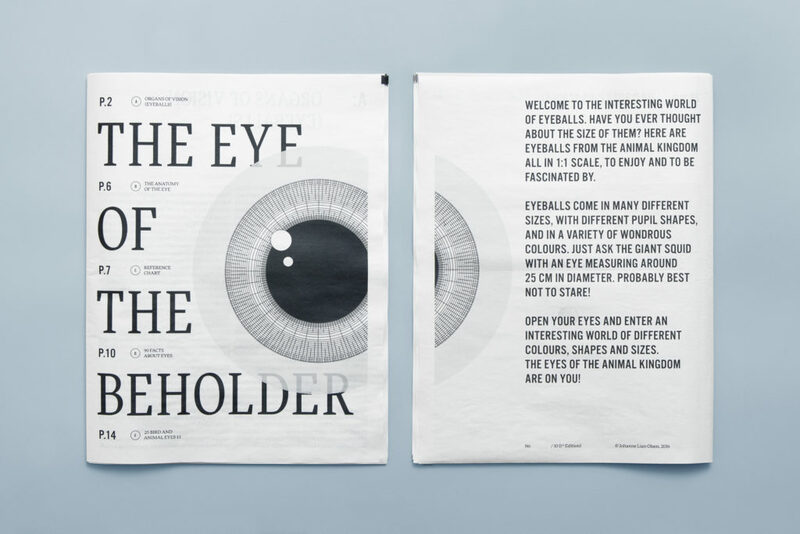 Now there's a great selling point for our digital tabloids: "big enough to print a life-size giant squid eyeball." Feast your remarkable eyes on more of Olsen's work on her website.